The author is a dairy nutritionist and technical services specialist with Vita Plus. Development of the reticulo-rumen of a six-week-old calf fed milk only, milk and grain, or milk and high-quality hay. Source Penn State Extension. A calf is born with a sterile rumen environment void of bacteria, protozoa, and fungi. The calf is first inoculated with microbes during the birthing process and in its new external environment. Microbes in the gut populate slowly at first, but speed up over time. This process of developing the calf into a ruminant is one of the main goals of the nursery phase. This is necessary for a successful transition into weaned groups to maintain growth and reduce disease incidences. The first major gut bacterial promoter is maternal colostrum. Colostrum acts as a natural prebiotic, promotes the growth of beneficial bacteria, and reduces the colonization of E. coli and other pathogenic bacteria in the small intestine. The establishment of beneficial bacteria from colostrum happens within the first 12 hours after feeding. 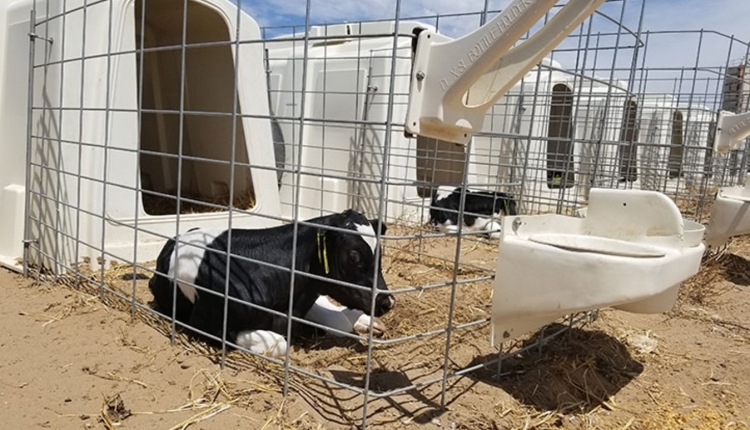 This is a vital first step to ensure calves get off to a good start by maximizing the growth and development of beneficial bacterial populations and reducing the risk of pathogens establishing. After colostrum feeding, calves need to transition onto the milk feeding program. The amount of liquid fed will influence the amount of starter grain intake. 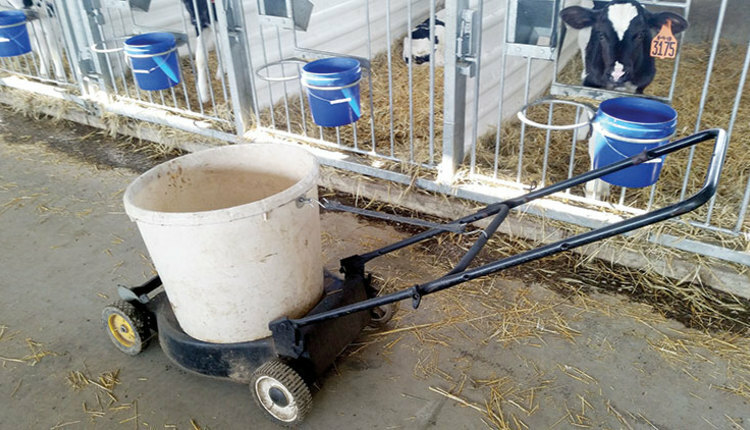 Producers can choose from two potential feeding strategies: Feed high volumes of milk (10 to 12 liters or 2.6 to 3.2 gallons) or moderate amounts of milk (6 to 8 liters or 1.6 to 2.1 gallons). Research shows, when feeding 10 to 12 liters of milk, starter grain intake is limited until weaning. 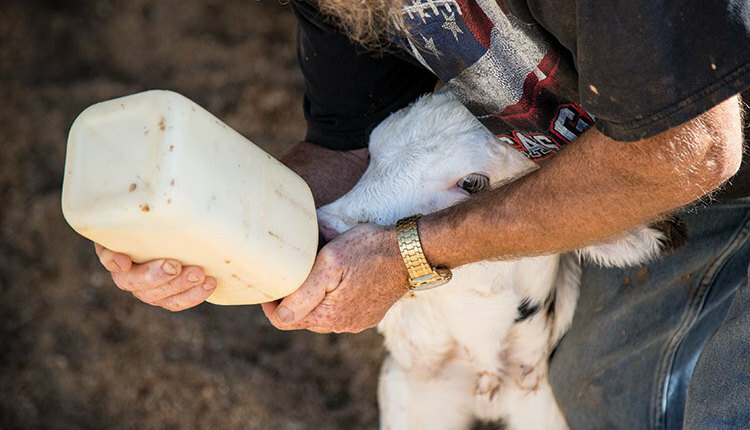 In contrast, in a study comparing 6 liters versus 8 liters per day of milk intake, calves fed 6 liters per day had greater grain intake and similar weaning weights at 73 days of age. If a calf consumes more than 0.4 pounds (180 grams) of fat from milk, starter grain intake begins to be suppressed. Therefore, to maximize starter grain intake, a balanced milk feeding program should accompany a quality starter grain. Due to their immature rumens, calves depend mostly on a liquid diet early in life. In addition to the liquid feeding program, calves gain energy by acquiring glucose through volatile fatty acid (VFA) production from starter grain digestion in the rumen. For this to happen, the rumen must develop and mature, which does not occur overnight. But the sooner it happens, the better. 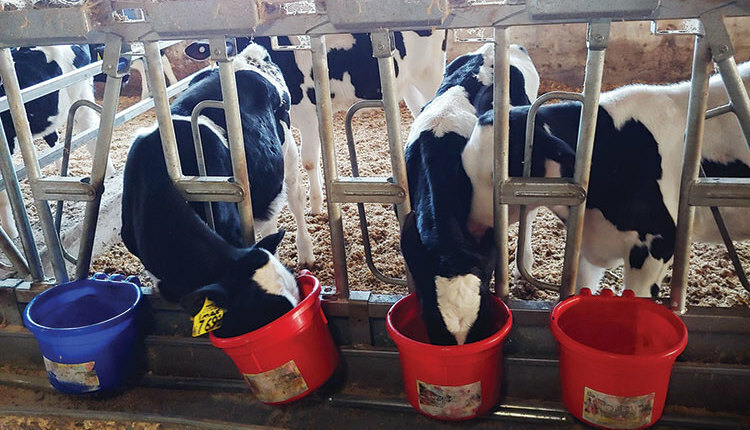 A study conducted at the University of Minnesota revealed that reducing the number of days it takes for calves to consume 1 pound of starter resulted in greater calf growth, heavier and more developed reticulo-rumens, and a longer small intestine. 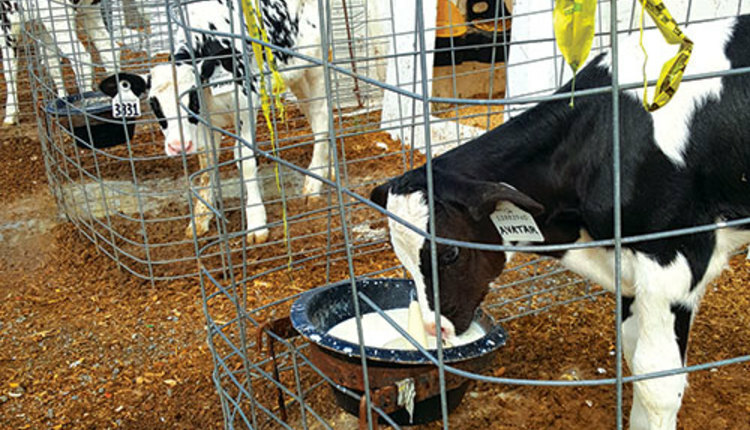 Penn State researchers also observed that encouraging starter intake at a younger age resulted in greater papillae growth and density at 6 weeks of age as compared to calves that were fed a milk-only diet or a milk plus high-quality hay diet (see figure). In addition, the University of Alberta discovered an earlier expression of antimicrobial defense molecules that aid in identifying and killing pathogens. Thus, calves that consume starter grain at a younger age have a more developed gastrointestinal (GI) tract and a superior ability to fight disease. With a stronger immune system, the improved digestion and fermentation of nutrients in the rumen can provide energy and protein for additional growth. Microbial protein produced through starter grain digestion and fermentation also has nearly optimum amino acid composition for growth and development. Achieving maximum starter grain intake during the nursery phase is a key step in calf development and growth. 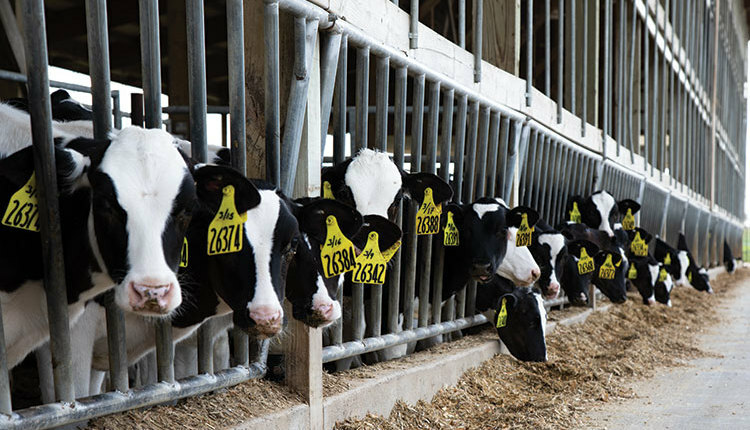 A few management factors can limit starter grain intake. First, it is important that young calves can easily reach the grain. Ensure starter buckets are no higher than 24 inches from the top of the bucket to the ground. Offer fresh starter grain to young calves daily to encourage intake. The starter grain should have a limited amount of fines (ideally less than 6 percent). The higher the amount of fines, the less palatable the starter grain becomes to young calves. Water is a vital nutrient to achieve proper intake of high-quality starter grain. Calves will need to consume approximately 4 pounds of water (approximately 0.5 gallon) for every 1 pound of starter grain consumed. Therefore, if water intake is limited — due to a lack of either availability or accessibility — starter grain intake will also be reduced. Water consumption may also be enhanced by offering warm water after the milk feeding. As the rumen matures, calves will consume more water and starter grain. Take time to monitor starter grain intake as calves go through the nursey phase. At the time of weaning, calves should consume 4 to 6 pounds of starter grain per day. In addition to intakes, pay attention to manure color and consistency. This will give an indication of rumen development. As the rumen matures, manure changes color from a light brown to a darker brown. The manure consistency will also thicken as the digestive tract develops. Again, feeding quality colostrum is the first step in achieving the goal of developing the calf into a ruminant. Transition the newborn calf to a moderate level of milk to encourage starter grain intake and begin the development and maturation of the rumen. Provide fresh starter grain with a limited amount of fines, and clean, warm water after the milk feeding for fueling grain intake. The sooner that calves consume starter grain, the greater the development of papillae growth and density, which will ensure that calves are well on their way to becoming mature ruminants.